We live by this statement in order to give our customers the best quality products at the best value, everyday; no exceptions. You are Midwest’s #1 priority. Strategically positioned around the U.S., our offices can ship your package to you within 48 hours. Midwest Truck supplies aftermarket and OEM Manual drivetrain components for heavy, medium, light duty and performance applications. With 70 years of experience, Midwest Truck knows what it takes to produce the highest quality parts available. “Committed to Quality” and “Continual Improvement” are two of the cornerstones of our Mission Statement, and nothing demonstrates our commitment more than the programs we’ve implemented over the last 5 years. With many years experience and extensive training, our knowledgeable staff will help you get the right replacement or aftermarket truck part, the first time. Give them a call at 800-934-2727 and let them assist you. We supply components to the heavy duty, light duty automotive/light truck and high-performance aftermarkets, worldwide. Midwest Truck and Auto Parts Inc. offers drivetrain components to the light duty truck and SUV market. We also provides front and rear axle kits for Jeeps and replacement parts for heavy duty differential and manual transmission needs among other things. To access the full product list, click here. I never thought that we would get my 1946 Willys CJ-2A back on the road after I sheered an axle. But, our local distributor found an axle available through Midwest Truck & Auto Parts! You guys are the best! We have a fleet of about 100 heavy duty trucks. Midwest Truck & Auto Parts beat everyone’s price on brake chambers, and delivered units that are outperforming the competition! You guys have the most knowledgeable sales team in the industry! My parts buyers are thrilled when talking with someone at Midwest. We have many department to serve you. World American is the heavy duty truck division of Midwest Truck & Auto Parts, Inc. We supply drivetrain and a wide range of class 6, 7, and 8 truck components to the heavy-duty aftermarket. 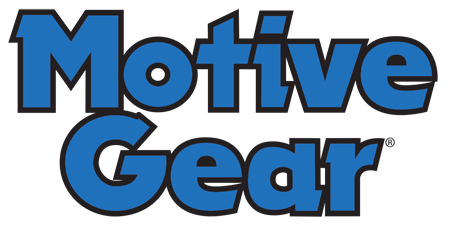 Motive Gear produces the widest range of OEM replacement gears in the world today. This range includes ring and pinion gears and axle shaft options, plus internal kits, carrier and transfer cases, manual transmission components and yokes. Not only do we offer ring and pinion gears and differential bearing kits, Motive Gear offers a complete line of transmission parts and transfer case parts as well as replacement axle shafts. Richmond Gear is the leading manufacturer of professional quality, high-performance drivetrain products. Our performance products are the result of a continuous research and development program combined with state-of-the-art manufacturing capabilities at our plants worldwide. For over 80 years, the Double Diamond has signified the highest quality products in the racing industry! POWERTRAX® proves that you don’t have to choose between the superior traction of a locking differential and smooth handling and drivability of an open differential. Powertrax Lock-Right Lockers and No-Slip Traction Systems give you the best of both worlds! 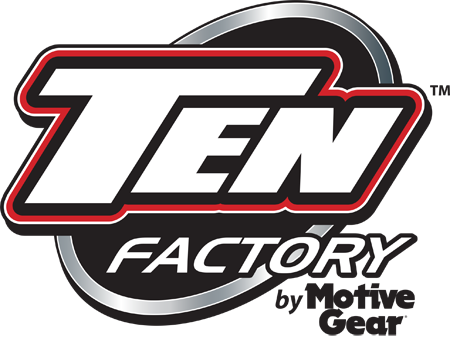 TEN Factory is the brand you can trust for the highest-quality engineered axle shafts and replacement kits available. Upgrade to a TEN Factory chromoly performance axle kit for front or rear. Built with the toughest materials, the wear-resistance of forged steel is heat-treated to produce durable axle shafts for your Jeep, car or truck. TEN Factory axles provide the strength that you can depend on for serious street and racing applications, on road or off!